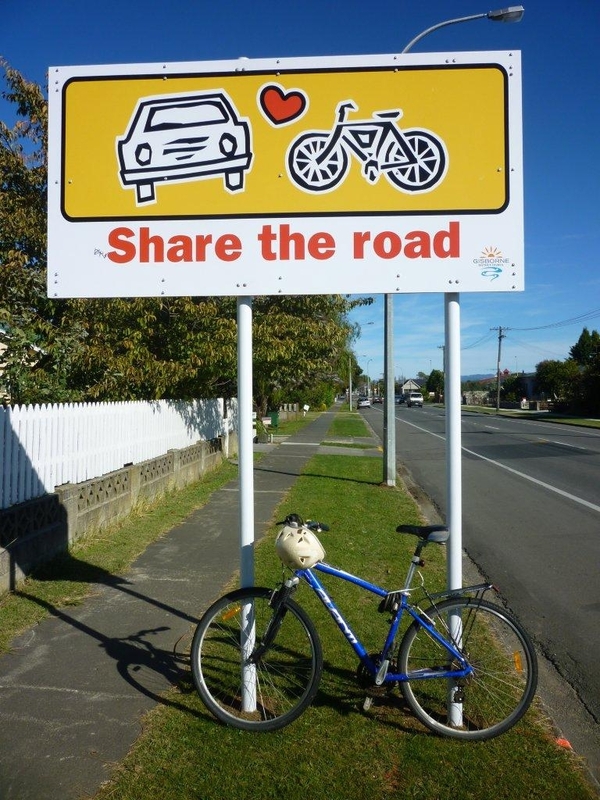 Responding to a call by national cycling advocacy groups for a review of the cycle helmet legislation, Gisborne Cycling Advisory Group’s Chairperson Manu Caddie said local cyclists had differing views on the matter. “While there is a lot of research suggesting there is no scientific evidence that the helmet legislation has prevented cyclist deaths and serious injuries, it is a contentious issue and many local cyclists support the law as it stands” said Mr Caddie. The Cycling Advisory Group meets monthly to advise Gisborne District Council and other agencies with the aim of making Gisborne cycling safer and more popular. The group agrees that priority needs to be given to other safety issues such as motorist behaviour, cyclist education and roading improvements. “We are very happy to see the new cycleways across the Gladstone Road bridge that have gone in this week” said Mr Caddie. “The new road markings for cyclists on the Lytton and Gladstone Road roundabout have also received favourable feedback from our members”. The Cycle Advocacy Network is a national body of affiliated cycling groups. CAN’s position that it is not calling for optional wearing of helmets, but a review the wider effects to date of helmet-wearing legislation. Whilst to many laypeople, the benefits of helmet-wearing legislation at first glance seem self-evident and beyond argument, further investigation suggests that there may be unintended consequences in terms of the perception and take-up of cycling, and the subsequent health of the general population. The fact that the countries with the greatest levels of cycling and best cycling safety records do not have compulsory helmet laws also calls into question the relative priority of such a law. CAN has suggested that the law in NZ be reviewed to evaluate whether the benefits of having compulsory helmet-wearing outweigh the costs. Since the law’s inception in 1994, this has never been done before in NZ.